This newer variety of hydrangea produces a copious amount of purple/pink lace caps vs the puffball style of flower you normally find on hydrangeas. 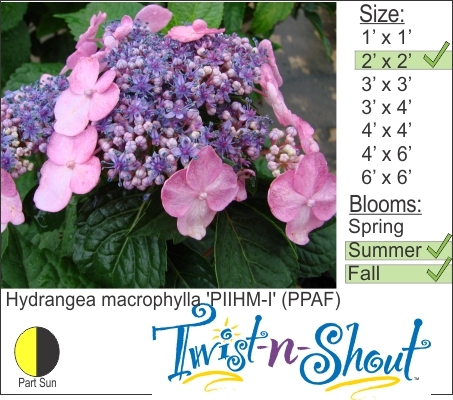 Twist N Shout is part of the Endless Summer Series of Hydrangeas and flowers through out the summer right into autumn. Cutback in early spring and allow new growth to generate from the base.